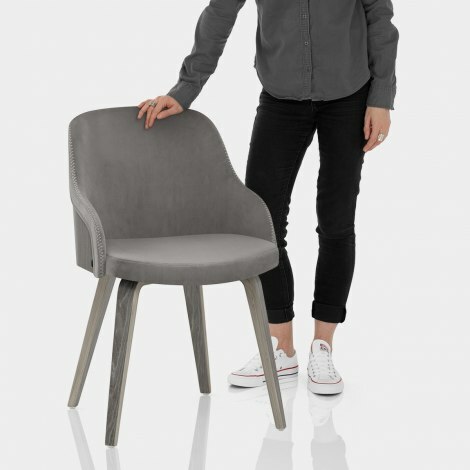 A mix of sophistication and rustic charm, the Fusion Wooden Chair Grey Velvet will flourish in your dining area. The Fusion is an exclusive design, with a unique style that is hard to beat. Lending a soft and sumptuous feel, grey velvet upholstery covers the seat and is given a stylish touch with the addition of decorative stitch detailing. 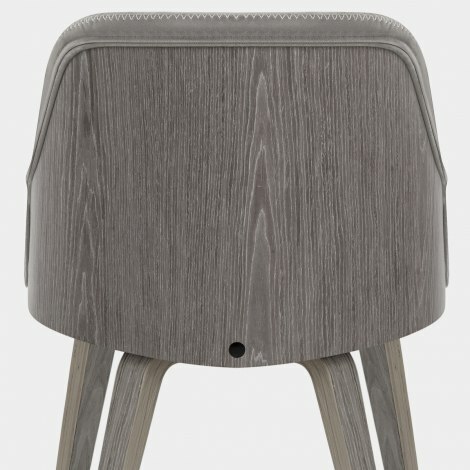 The padded seat is encircled by a bentwood backrest that has a light grey finish, which enriches the natural grain of the wood and lends a real contemporary look. Tapered bentwood legs match the seat and provide a durable and sturdy frame, finished with protective plugs that help to preserve your floors. This is a great little chair. It is very easy to assemble, comfortable and it looks very nice. My only advice is to spray it with scotch guard to protect it from stains. I needed a neat small chair for the corner of my newly decorated bedroom.This fitted the bill perfectly, legs assembled in minutes. It’s perfect size not too clumsy, but comfy to sit on. Everyone loves it !